Pythagoras“Numbers have souls, as well as magical powers”. I am the symbol of cosmic order and harmony on earth. I am the number of space and time. The three dimensional reality is created by God using my vibrations in the form of music. I represent the division of reality into 12 distinct vibrations or tones. I am the sacred number, and there is a story behind it in England. If a young girl wanted to see her future husband, she must pick 12 sage leaves on St. Mark`s day- Apr 25th at exact 12 noon. “Thinkest thou that I cannot now pray to My father, and He shall presently give Me more than twelve Legions of Angels? I am the measure of time. Modern clock is divided into two groups of 12 hours each. 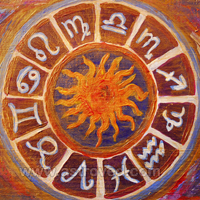 There are 12 astrological signs in the zodiac. There are 12 animal signs in the Chinese Zodiac. Pisces is the 12th astrological sign. 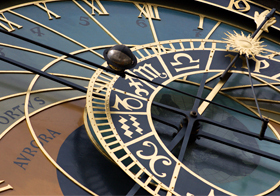 The 12th house in astrology chart stands as a house of enlightenment. Ancient numbering and measuring were based on me. I can be divided into the numbers 2, 3, 4, and 6, which indicates that the energies of all these numbers are contained in me. “In the words of Mathematician Pythagoras, “Number 12 has the capacity to encompass the entire foundation of the mathematical language. In essence, It holds within itself the ability to fundamentally express life”. The Greek mythology has 12 Olympians who were the principle Gods who resided in Mt. Olympus. I am the higher octave of number 3, representing great wisdom and understanding, by which one remains calm in spite of turbulent situations around.